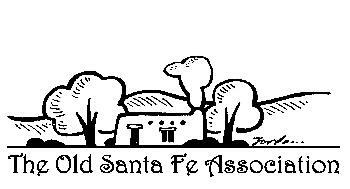 The mission of the Old Santa Fe Association is to promote the prosperity and welfare of the City and County of Santa Fe and their inhabitants, to preserve and maintain the ancient landmarks, historical structures and traditions of Old Santa Fe and to guide their growth and development in such a way as to promote that unique charm and distinction: born of age, culture, tradition and environment, which are the priceless assets and heritage of Santa Fe. Our Fall 2018 Newsletter is the best way to get up to date with what is happening at OSFA. or come in and explore the website by accessing via the menus above.